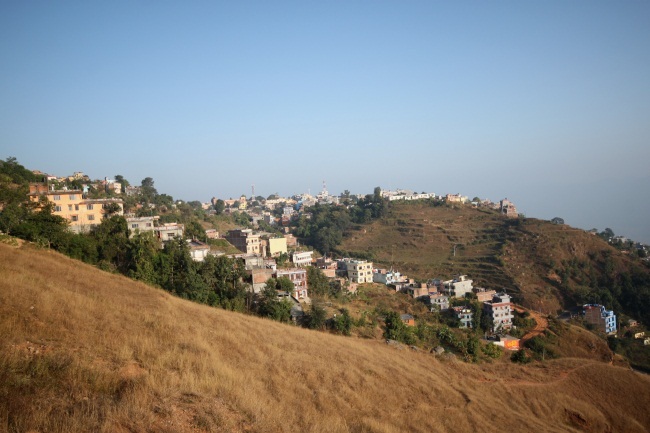 Trekking Towns in Nepal: Part 1 Tansen | Am I Nearly There Yet? Step of the Siddartha Highway 119km south of Pokhara to the hill town Tansen otherwise known as Palpa. Full of Newari charm and a distinct medieval feel, there is plenty of the real Nepal to see! 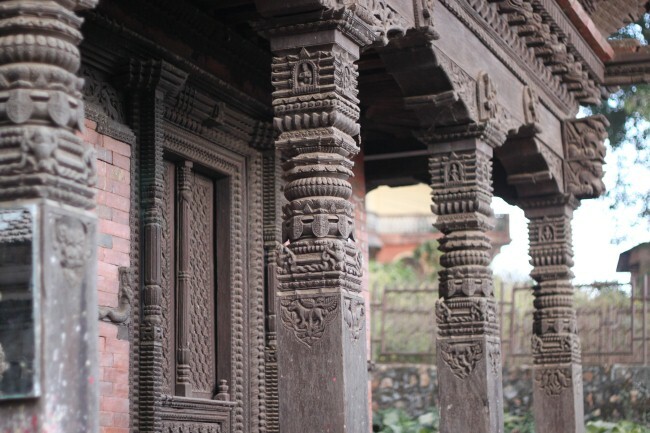 Locals live in wooden Newari houses which have intricately carved windows. Tansen is a maze of narrow alleys and steep roads. Bank Street is the main shopping street. 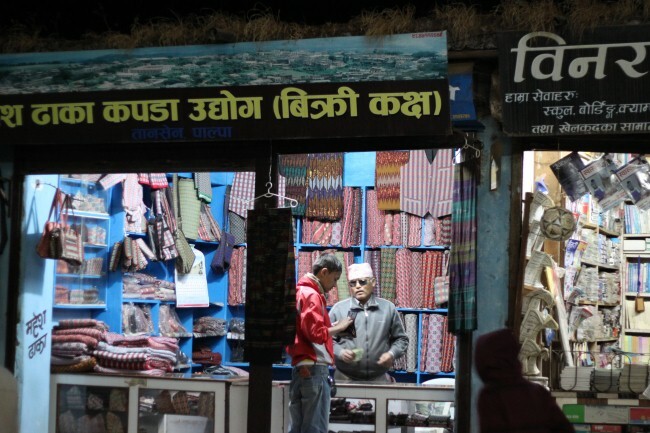 There are tailors and fabric shops selling the traditional ‘topis’ cloth hats and accessories to match. 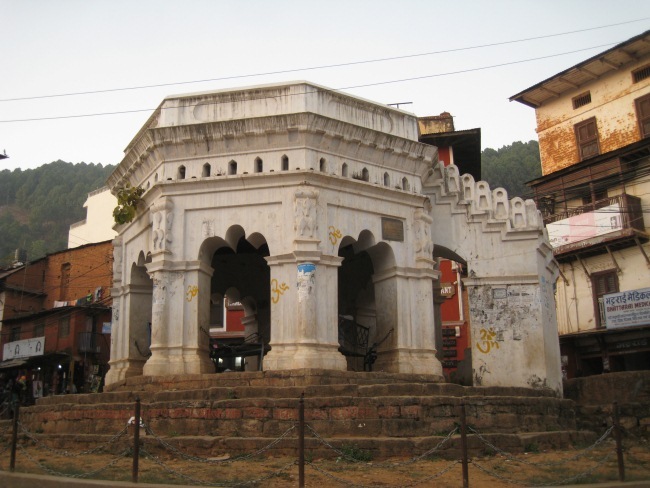 The main market square, Sitalpati is known for the Octagonal Pavilion which takes centre stage on the square. Locals enjoy sitting, chatting and relaxing here. There are lots of interesting walks to do in the area. Your first stop should be at GETUP (Group for Environmental & Tourism Upgrading Palpa) the only source of tourist information in the area. They are helpful with advise and maps and they can also arrange a home stay in the town if you want. Shreenagar Danda is a 1600m hill north of town. 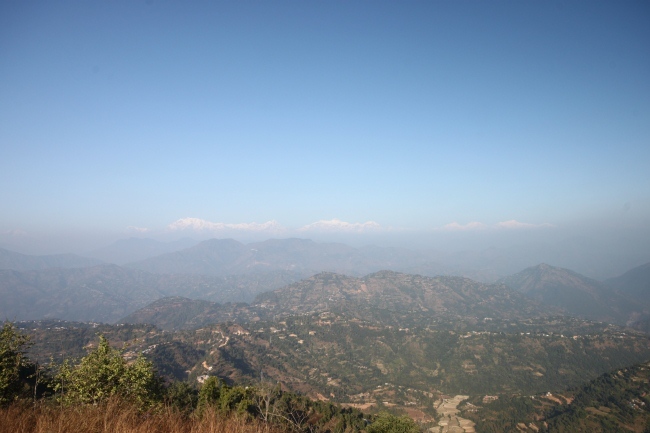 The walk starts off through a woodland, taking you past religious sculptures and eventually bringing you out to a view point looking out to the Himalayas. There are some stairs at the top that take you back down and you can carry on walking to a local village called Bagnas. It’s a nice walk through villages to a temple and another great view point. The accommodation is limited in Tansen with few hotels and low standards for people on a backpacker budget. We stayed at The White Lake Hotel which was basic, but if you can afford it they have upgrade rooms for $15 with a balcony. There was only one restaurant in town that catered for westerners called, Nanglo West. They had a lovely courtyard and a good menu with affordable prices. I recommend the veg sizzler and the french fries! They also had a descent bakery out the front selling slices of cake. Stuart was addicted to them as they were priced at 30 rupee! Tansen is near enough to Pokhara to add it to your itinerary. It has a definite local feel and no-one is pestering you for your money! There are buses that leave from Pokhara Tourist Bus Park that drop you off a 5 minutes Jeep ride outside of Tansen. It’s not really walking distance and the whole Jeep should cost about 300 rupees to be taken to your hotel. The Jeep drops locals of at the bus station and this is a few minutes walk from town. To leave Tansen is easy. The bus station is located at the bottom of town and there is a ticket office at the east end of the stand which you can buy tickets on the day of departure.